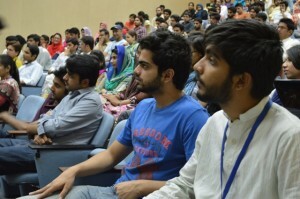 The Formanite Journalism Society organized a lecture on Pakistani Media (TV drama) and Social Values on Friday 3 May 2013. 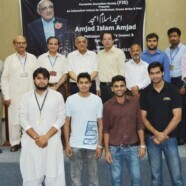 The guest speaker at the occasion was renowned columnist, poet, and drama writer, Amjad Islam Amjad. 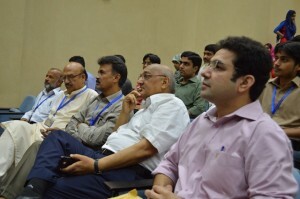 The lecture was attended by various faculty members and students. 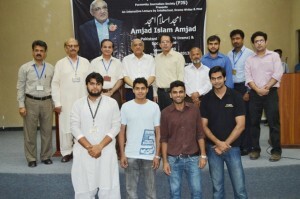 Dr Ashfaq Ahmad Virk from the Urdu Department formally welcomed Amjad Islam Amjad and highlighted his contributions towards Urdu drama and poetry. 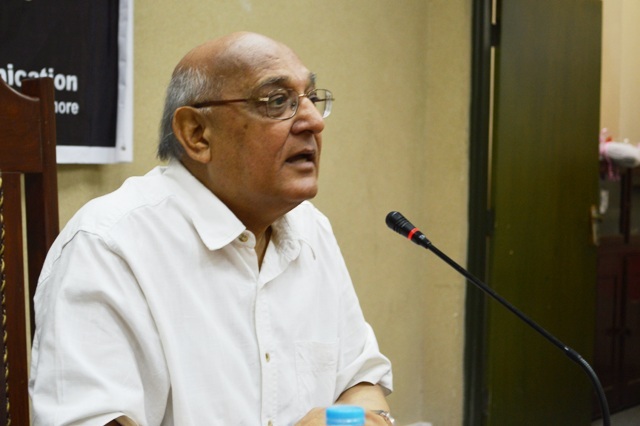 Amjad Islam Amjad is distinguished for his poetic work, but his drama ‘Waris’ was a huge hit in the 80’s. Amjad said that before the development in media technology, theater was the only source of entertainment available to people. He remembered the role of the painters who used to paint the backgrounds of the theater in accordance with the theme and scene required during the show. With the advent of technology, the concept of drama-making was introduced in the subcontinent. Initially, the Urdu dramas were the translations or adaptations of English dramas. Amjad said that he was blessed to have had the opportunity to meet Dilip Kumar and Amitabh Bachan at an event. Amitabh praised our TV dramas and said that Pakistani dramas are worth watching. Amjad said the current Pakistani dramas are now losing their essence by running after advertisements. “Advertisements are the oxygen of dramas, but it does not mean that we neglect the social role that they play,” he added. Dramas should show all aspects of the society and at the same time, should give the youth a positive spark to work for the betterment of the society. “Our present is in their hands and they have the capacity to change the future,” he added. He also discussed the repercussions of Turkish dramas on Pakistani culture. Amjad also highlighted the intricacies of gender relations in dramatic narratives. The lecture was followed by a question and answer session, a note of thanks by Fahad Mahmood, advisor FJS and then a poetry session by Amjad Islam Amjad. At the end Dr Waseem Anwar, Dean of Humanities and Dr Hanan Mian, Chairperson, Mass Communication Department, presented a memento to the guest.